Philips Lighting is the world leader in lighting products, systems and services, delivers innovations that unlock business value, providing rich user experiences that help improve lives. Serving professional and consumer markets, it leads the industry in leveraging the Internet of Things to transform homes, buildings and urban spaces. 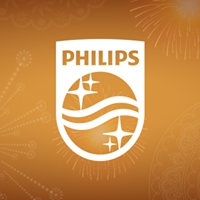 With 2016 sales of EUR 7.1 billion, Philips Lighting has approximately 34,000 employees in over 70 countries. Women on Wings, Philips Lighting India and Ministry of Women and Child Development, Government of India, run a program, funded by the Philips Lighting Foundation, for distribution of Solar Lighting Systems in about 800 off-grid or under electrified rural households in Pilibhit in the state of Uttar Pradesh.